The Snom M300 telephone PBX is a DECT solution compatible with most IP PBX systems on the market, supporting up to 20 phones with a range of up to 300 meters outdoors and 50 meters indoors. The Snom M300 telephone PBX is a DECT solution compatible with most IP PBX systems on the market, supporting up to 20 phones with a range of up to 300 meters outdoors and 50 meters indoors. This coverage can be extended with up to 3 Snom M5 repeaters. 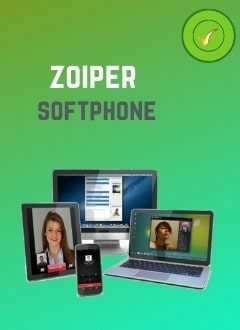 This excellent PBX phone is very easy to install and uses the same interface as desktop phones, to generate a comfortable and familiar experience. Compatible with Snom M85, M65 and M25 phones. Up to 5 simultaneous calls. Up to 3 Snom M5 repeaters per base. Call record: Total, made, received and lost. Network: Ethernet 10/100 BASE-T IEEE 802.3. Central agenda in the base station with LDAP support. Audio codecs: G711, G722, G726, G729. Protocols: SIP (RFC3261), DHCP, NTP, HTTP / HTTPS / TFTP, LDAP. Range: up to 300 meters outdoors and 50 meters indoors.